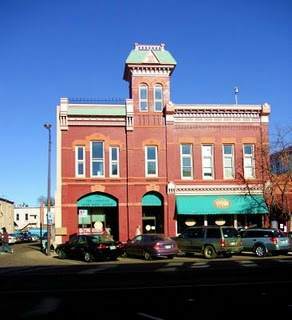 Welcome to Old Town Fort Collins Real Estate! What a vibrant and characteristic neighborhood this is. Walk to your favorite coffee shop to get a cup of coffee at Mug’s or head to your favorite restaurant such as Jay’s Bistro for and nice evening out on the town. Big wide streets with huge oak trees transport you back in time. You will feel like you are in the 1920’s. 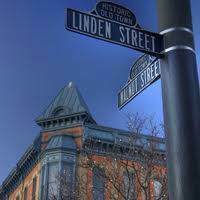 Most of Old Town Fort Collins is actually old. The homes were built in the 1900’s when the first settlers arrived in Fort Collins. Today this great area has transformed itself into a very desirable area that demands a high price. Most of the homes in Old Town will be filled with character and charm and also quirks, but you’ve got to love this kind of charm. If you are looking for new construction with a nice floor plan and 2 car garage this area might not be for you though there are some in different pockets of town. This neighborhood is for those enjoy the uniqueness that some of these homes offer and are able to appreciate that there are no two alike. Old Town is a loosely defined area that centers around the Fort Collins historic downtown, which is a well-preserved and renovated district that has over 125 shops, 85 restaurants (with outdoor patio eating areas), free concerts, museum and First Friday night gallery walks, and live entertainment. Disneyland’s Main Street was designed after Old Town square in Fort Collins. A fascinating piece of trivia and history that we cherish. The next time you go to Disneyland take a look and you will see the resemblance. Currently there are 17 homes on the market ranging in price from $369,000 for a 1 bedroom 1 bath to $1,675,000 for a ½ acre lot with 5 bedrooms and 5 baths. So as you can see there is a wide range of homes to choose from you just need to decide which one is right for you. Most homes built at the turn of the century in 1900 – just oozing with charm. Obviously there are pockets where newer homes have been built.